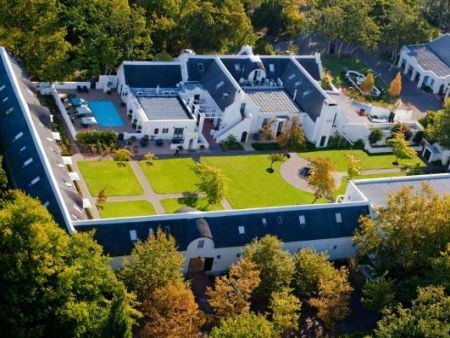 This Romantic Overnight Spa Getaway, overlooking the Helderberg Mountains in the heart of the Cape Winelands, includes the use of the spa facilities (heated pool and steam room), 60 Min Hot Stone Massage, a healthy spa lunch, four star accommodation and a Full English Breakfast. 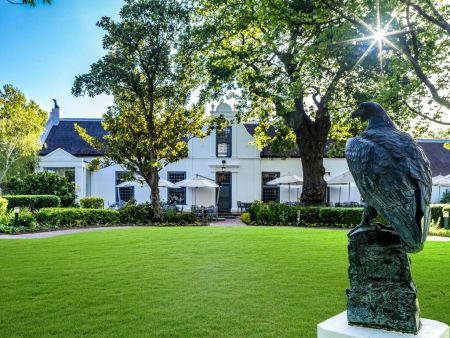 Embraced by history, and surrounded by the majestic Hottentots Holland Mountains this 4 Start Hotel & Spa provides distinctive and captivating Hospitality. 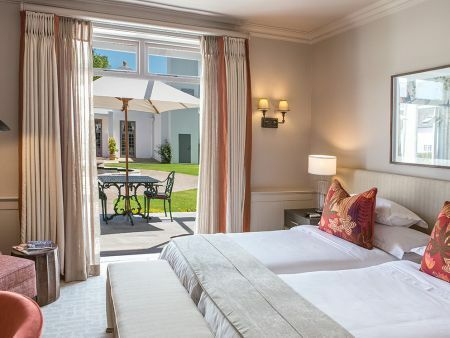 The en-suite bedrooms are set amidst tranquil gardens and cobbled walkways each exquisitely furnished and fully equipped with all the necessary commodities. 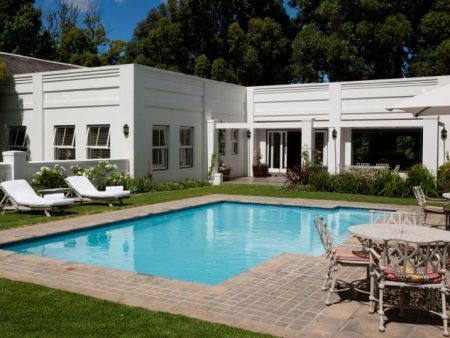 The Spa features four spacious treatment rooms, steam room, indoor relaxation area with heated whirlpool, outdoor pool and patio. 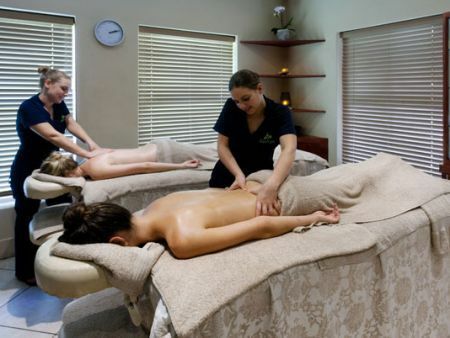 The treatments and techniques are designed to rejuvenate weary bodies and minds. Our spa package includes a 60 Min Hot Stone Massage - a deep healing massage using stones to provide warmth while relieving tension. 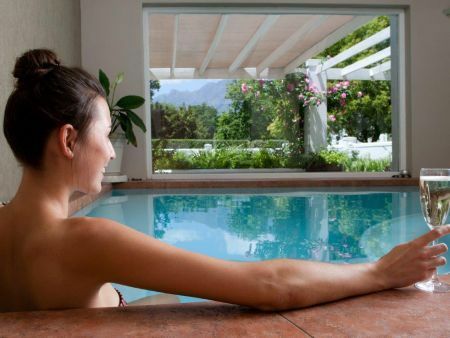 Included in the spa package is a healthy spa lunch with a glass of bubbles or wine, which can be enjoyed at the poolside under the shade of an umbrella. 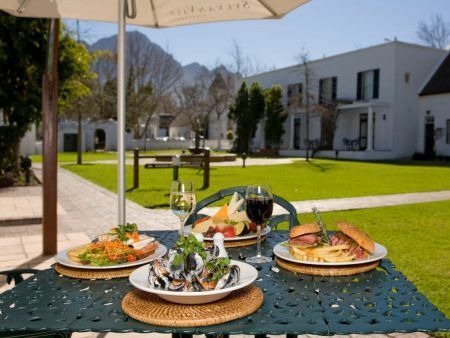 The hotel’s restaurant offers an array of cuisines including South African, Moroccan and Zanzibar culinary delights. You may also choose to sit on the Terrace to enjoy the beautiful surroundings while enjoying your meal, which is for your own account.